Wendy knows how to connect with audiences. 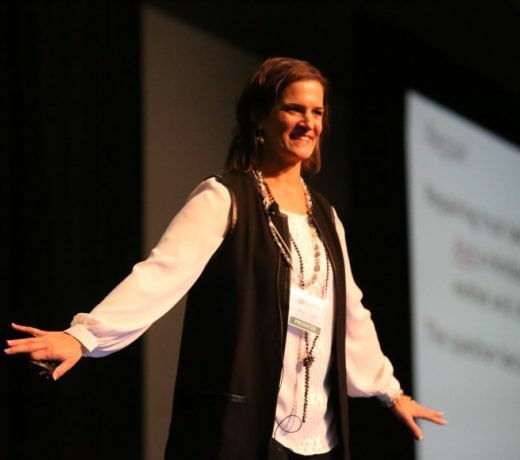 She delivers impactful messages with her charismatic style, rich content, and a dash of humor. “Dr. Wendy Fraser knows about trust. She has delivered insightful information many times at our annual popular conference where attendees describe her as a conference “heavy hitter” and the “highlight of the event”. The practical solutions she shares continues to help transform the culture of state government. Trust permeates relationships. When there is trust within groups, information flows and issues can be resolved easier. However, all groups get stuck sometimes. When groups experience low trust or a violation of trust, it can be very disruptive to relationships and work systems and can have long lasting impact on the organization. Can groups work through the challenges and repair trust? Yes! This session highlights research on trust repair, shares a new research-based model, and provides strategies that can be used immediately at the interpersonal, group, or organizational level. Healthy relationships between management and employees is a pillar in fostering a strong organization that gets results. This session focuses on understanding the behaviors that build (or erode) trust between the two groups. A new research-based trust behaviors framework in an organizational setting will be shared that can help both sides see possible ways they both can contribute to bridge understanding. Are you a part of a group that is stuck? Eye-rolling, finger-pointing, rude comments, and uneasy silence are noticeable signs that a group is suffering from latent, unresolved, broken trust. If you have had enough and are ready to leave the drama behind, then this session is for you. Are you part of a well-functioning team and want it to stay that way? Strong relationships within groups engender resilient individuals who can empathically and creatively handle setbacks and swiftly course-correct. If you want to ensure your team continues operating at its best, then this session is also for you. This session specifically helps individuals diagnose, determine, and understand how they have the power to do something about strengthening trust – even if it feels like things are stacked against you. Participants will leave with renewed insights about trust and some tools to immediately use to strengthen or repair trust in their own groups. Are you exasperated or at your wits end after trying to get people to do something different? What about stalled efforts to resolve conflict? There are significant organizational and human costs when there is unresolved trust issues or conflict. When groups or individuals try to repair these relationships, only to have it not work (for a variety of reasons), it leads to frustration, lowers morale, and adversely affects productivity. However, there is hope! There are actions you can take to alleviate the stress and burden of unresolved trust issues. This session shares research-based approaches and offers practical strategies to support you moving forward even if others won’t change! Interested in booking Wendy for your next event?